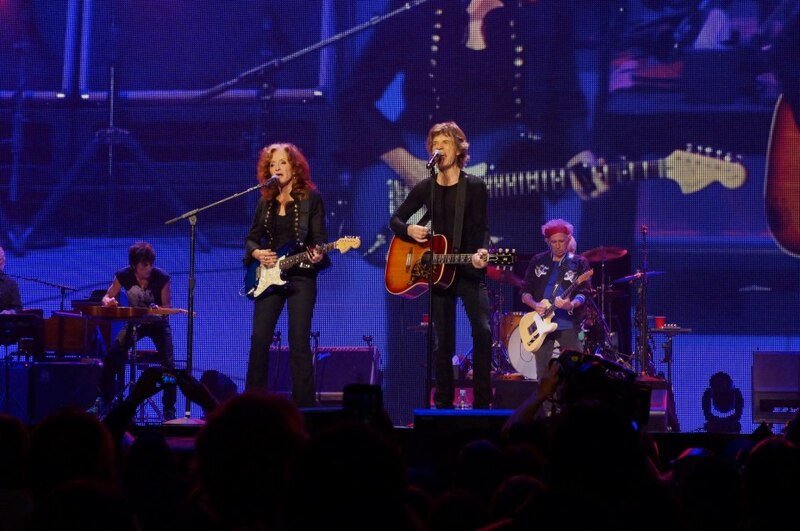 Bonnie Raitt was a featured guest Wednesday night in San Jose as the Rolling Stones played the third stop on their “50 & Counting” arena tour. Bonnie joined the band for their 1969 classic, “Let It Bleed,” and played some slide guitar on it, as well. The show also included an appearance by John Fogerty on “It’s All Over Now” (video here). The Rolling Stones play Las Vegas on Saturday.